At Sheppard Pratt, you’ll discover a network of the brightest, most innovative minds working together to provide the best, most compassionate care. We empower our employees to make a difference and grow, both professionally and personally. With opportunities available in our hospitals, special education schools, residential programs, outpatient centers, and more, we know you’ll find the right place to start or grow your career. If you’re looking for an opportunity where you can truly change lives for the better, look no further. Find the role for you at Sheppard Pratt. Nurses are vital to so many of our programs at Sheppard Pratt, and we are the home to some of the top nurses in the field. Whether you’re just beginning your career in nursing, an experienced psychiatric nurse practitioner, or somewhere in between, you’ll find your fit at Sheppard Pratt. We have opportunities available in diverse settings, including our acute care hospitals, special education schools, residential programs, outpatient centers, and more. Our direct care professionals are on the front lines helping people heal every day, and serve a vital role throughout our dozens of programs. They’re embedded into our inpatient units and are integral members of our outpatient and residential teams; they are out in the community, and even work within schools. If you’re a compassionate and caring professional who is ready to change lives for the better, we want to hear from you. Whether you want to work hands-on with the most incredible children and adolescents in one of our special education schools, or you want to teach adults the skills they need to thrive as parents, we have the perfect role for you. As the largest providers of non-public special education programming in the state, our team has the opportunity to work hands-on with diverse student populations in varied settings, with access to the latest technology and training. Sheppard Pratt is the home to extensive supportive skills training programs, and we offer ESOL, finance, and parenting classes where you can make your mark. Our 163 programs are thriving thanks to the diligent, careful work of our incredible, diverse team of support staff. Whether you’re seeking a role interacting with a variety of people each day, or want to make a difference from behind a computer screen, we have the right fit for you. We are able to provide world-class care day in and day out thanks to our hardworking, caring support services teams. If you're looking for your next position in environmental services, food services, maintenance, plant operations, and more, Sheppard Pratt has the perfect opportunity for you to make a difference. Not only do we have thousands on the front lines working directly with those we serve each day, we have hundreds more people working behind the scenes. With diverse and varied roles in human resources, finance, professional services, IT, marketing, philanthropy, and more, we have dozens of positions for people who are ready to make a difference from day one. We’re seeking people who aren’t afraid of challenges; people who don’t back down when faced with adversity; people who will advocate for their clients every day. Whether you’re a counselor, a social worker, an addictions specialist, or a therapist, doors are wide open for you all across Sheppard Pratt. We have more than 150 mental health, substance use, special education, and social service programs throughout the state, with opportunities for you to directly impact the lives of children, adolescents, adults, and older adults in each and every one. Medication management is an essential component of our programs, making pharmacists and pharmacy techs key to Sheppard Pratt. If you are looking for a dynamic and growing pharmacy department, then Sheppard Pratt is the place for you! At Sheppard Pratt, you'll have the chance to enhance your communication and leadership skills, all while providing compassionate, meaningful care. We offer fulfilling careers in diverse settings for the most innovative and compassionate doctors. 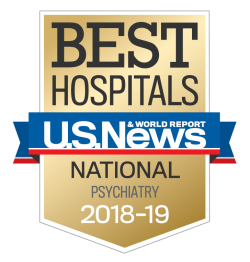 Sheppard Pratt is a physician-led organization with opportunities for psychiatrists and psychologists in every treatment setting all across Maryland. We make providing the best care easy: we have in-house educational opportunities and lectures, access to the latest research and innovations, and emphasize personal and professional growth every step of the way. At Sheppard Pratt, our volunteers and interns are vital to our mission of providing the best, most compassionate care. We offer opportunities for volunteers at our hospitals and within our community services. And, we offer internships for college credit for college juniors and seniors, and clinical placements for master’s level students.